This is by far my favorite go-to sandwich. Whether you are a vegan or love cheeseburgers, this recipe is sure to please anyone! 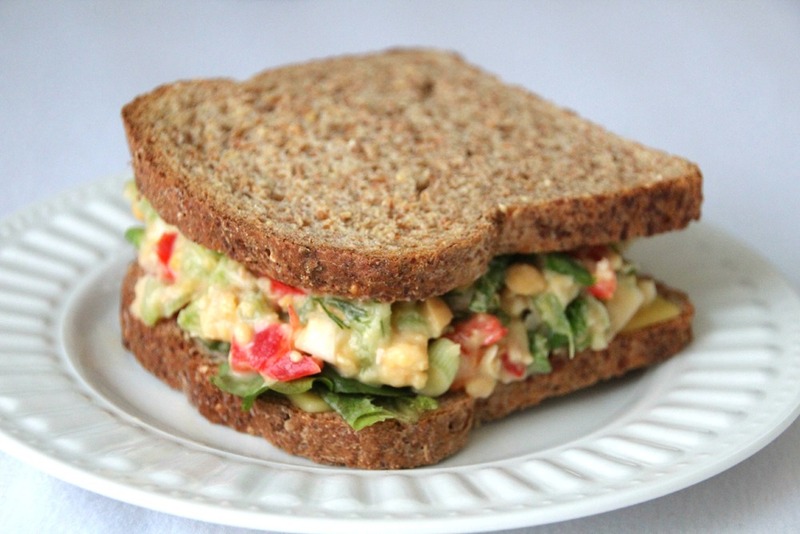 The best thing about Chickpea Salad is its versatility. You can use it as a sandwich filler, in lettuce wraps, on salads or eat it plain! The best part? It only takes about 15 minute to whip up! Enjoy! + Place the washed garbanzo beans into a large mixing bowl. Use your hands or a wooden spoon to mash the beans as much as possible. + Add in the vegan mayo, celery, red pepper, dill, mustard, garlic, red onion, salt and lemon juice and mix well, until all the ingredients are combined. Serve at room temperature or cold.